Strawberry Basil Margaritas have recently become my favorite summer drink. With an over-abundance of fresh basil growing on my deck at lightening speed, I can barely keep up with the weekly harvest. 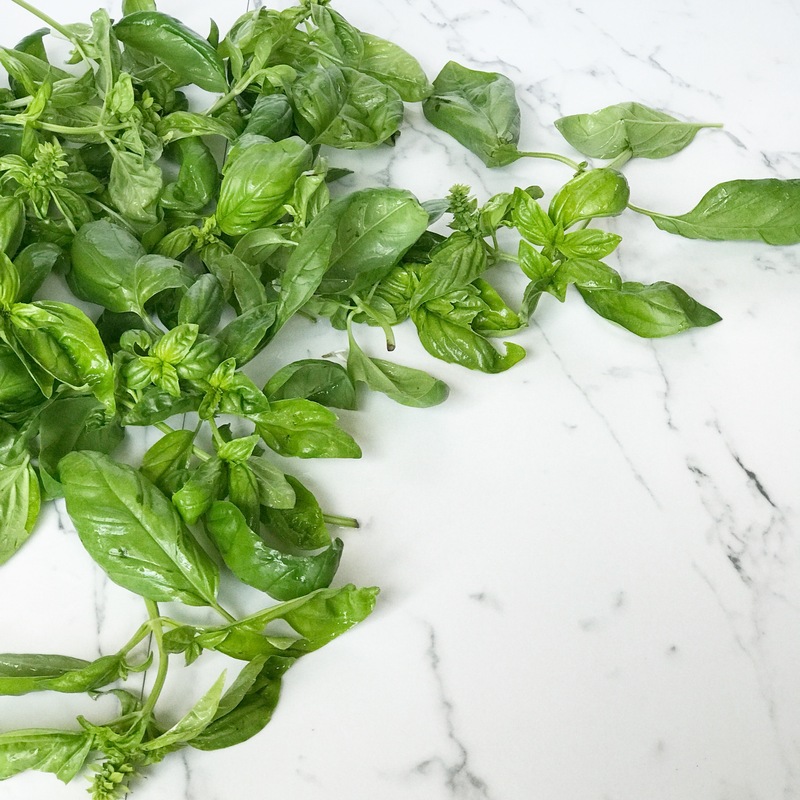 Here in Minnesota, basil is one of those beloved herbs that can be prohibitively expensive at the grocery store in the winter – yet grow like a weed in the summer. The thing I like most about basil are the endless things you can make with this gorgeous green plant. From traditional pesto to marinades and dressings, mojitos and margaritas, tea, syrup, ice cream and desserts. The list goes on. This versatile fragrant plant opens up a world of delicious options when it comes to getting creative in the kitchen. Starting with Strawberry Basil Margarita cocktails! 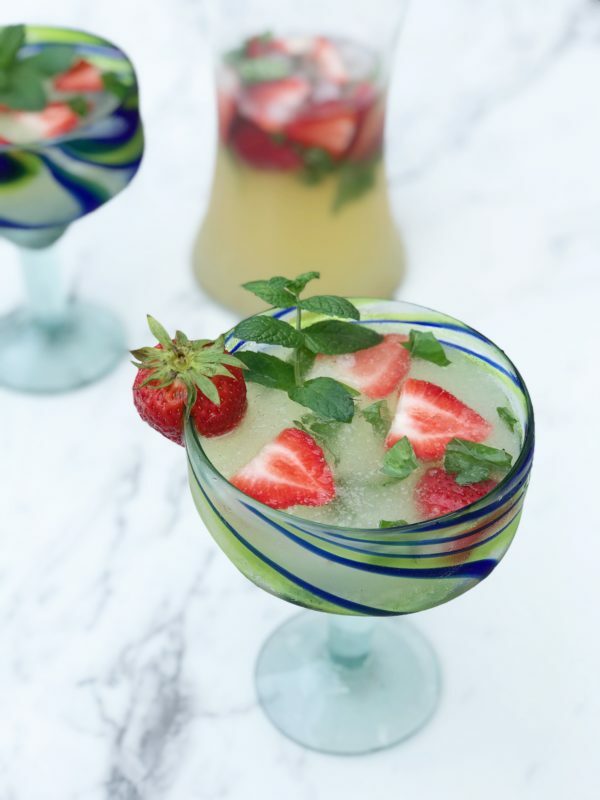 Strawberry Basil Margarita is a perfectly refreshing twist on this classic summer drink. Infused with sweet strawberries and fragrant basil. Make ahead to bring out a perfect balance of flavors for the perfect margarita. Place tequila, triple sec, lime juice, and ice in a blender and process on high for 20 seconds. Pour into a pitcher for further mixing. Add in strawberries. Rub basil pieces between fingers to bring out some of the flavor befor adding to mix. Usine a large spoon, stir together and transfer to refrigerator to infuse flavors between 2 to 24 hours before serving. Pour into 2 seperate glasses and enjoy!